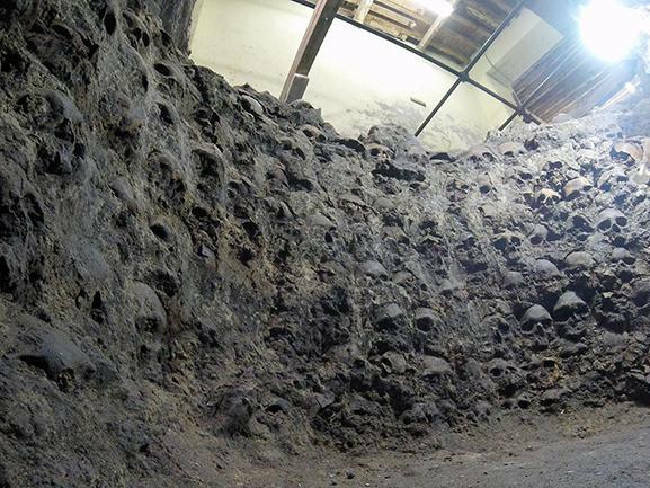 The Aztec tower of tens of thousands of skulls first described by the Spanish has been nothing more than a legend, until now. But as archaeologists keep digging, researchers have confirmed that the tower — first described in the written accounts of Andres de Tapia, a Spanish soldier, in 1521 — existed. And though that in itself is intriguing enough, the discovery has also debunked some myths about the historical tale — namely that the tower was created using the severed heads of enemy warriors. In fact, researchers found that many of the skulls — which were covered in lime and arranged in a rings, rising like the steps of an amphitheater — were actually those of women and children. Just a few weeks ago, researchers found the severed necks of 32 children in the same area. They’ve also uncovered a nearby wooden rectangular platform that is thought to have been the foundation for a sort of a palisade, which they suspect extended 110 feet. They have no doubt that these disturbing discoveries (the skull tower along with the long wall) are what remains of the structure de Tapia was referring too. 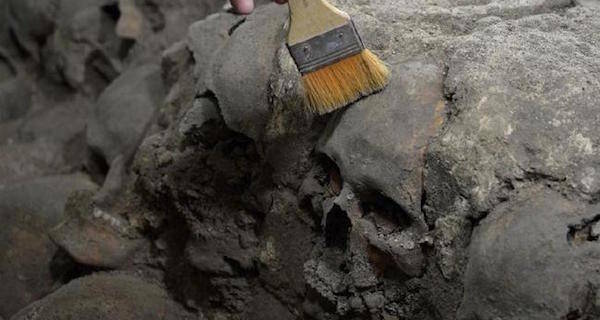 And if that’s the case, they’ll probably be digging up skulls for a long time to come — Since de Tapia said there were more than 10,000. Luckily for the diggers, some think he was probably exaggerating. Next, read about a new study suggesting that salmonella killed off the majority of Aztecs. Then, learn about seppuku, the ancient and terrible samurai suicide ritual.